Brooklyn is a special girl. She is a 4-year-old boxer, Staffordshire terrier mix. When she arrived she was severely underweight and had a skin infection. Even so, she was a bundle of love, soliciting pets and giving kisses all around. She quickly became a staff favorite. She has now gained weight and confidence, and we have learned more about her personality. She loves to play ball and tug-of-war. She wiggles at meeting new people, and she is goofy and active. We are looking for a terrier experienced home, with older kids due to her jumpy behaviors. 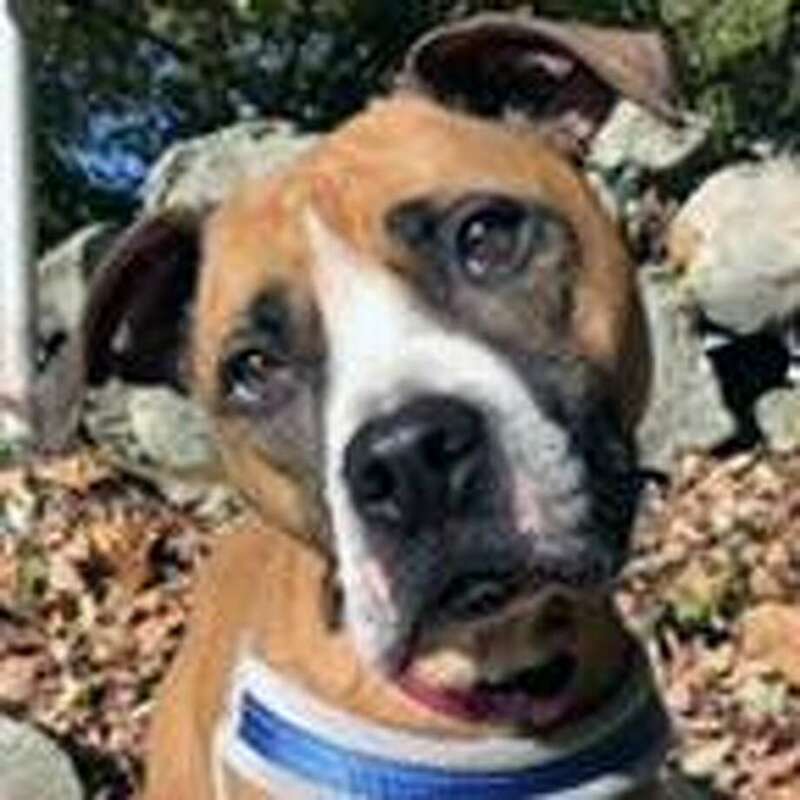 To learn more about Max, visit the Westport Adoption Center at 455 Post Road East, Westport, CT 06880. Or call 203-227-4137.